Jessica Hans is an artist based in Philadelphia. Upon graduation from a fine art degree in 2012 from Maryland Institute College of Art, Jessica opened her studio & focused her practice on ceramics. Jessica draws inspiration from the natural world, with a particular fascination for the naturally occurring textures & patterns that form in the rocks & earth. Her creative talent paired with her knowledge & love of modern design has resulted in a collaboration with HAY. 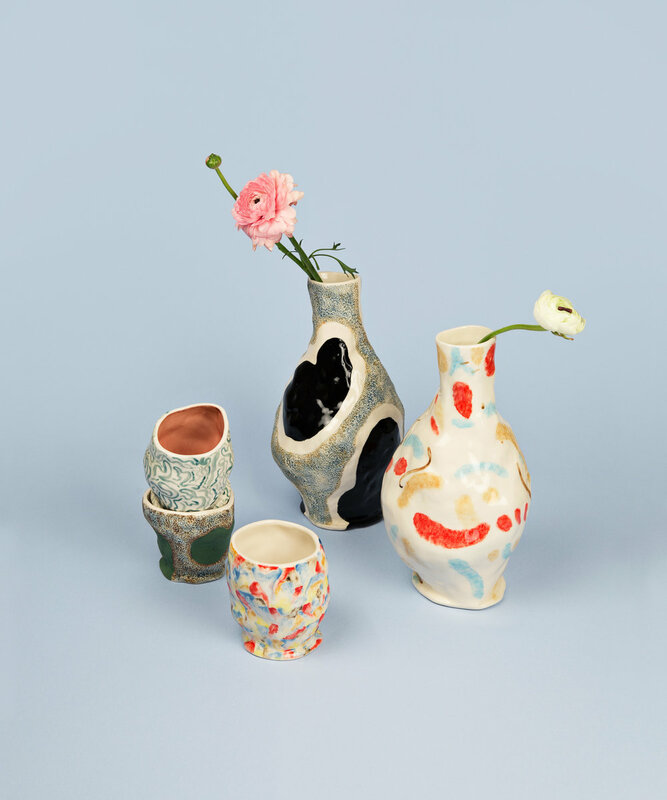 Her ceramics are intended to serve a purpose, whether it be as a vase or coffee cup, but she creates work also with the hope that they can stand alone as works of art. The 'Glossy Cow' vase from Jessica's collaboration with Hay is available now at Maven.